In London, the Victoria and Albert Museum is the world’s leading museum of art, design and performance. Objects span over 5,000 years of human creativity with resources for the study of architecture, furniture, fashion, textiles, photography, sculpture, Asian art, theater and performance. 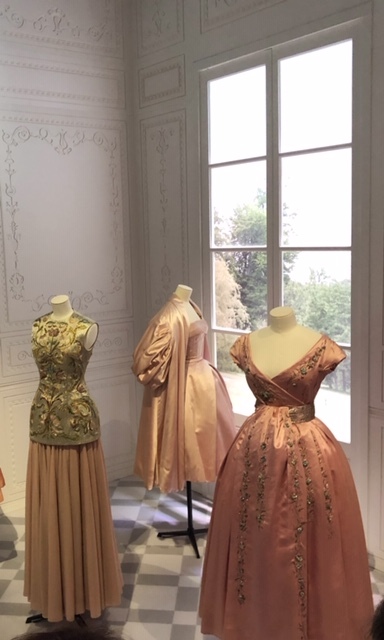 Our team went to the Christian Dior exhibit which spans from 1947 to the present, and Dior was one of the most influential couturiers of the 20thcentury with an influential fashion house. 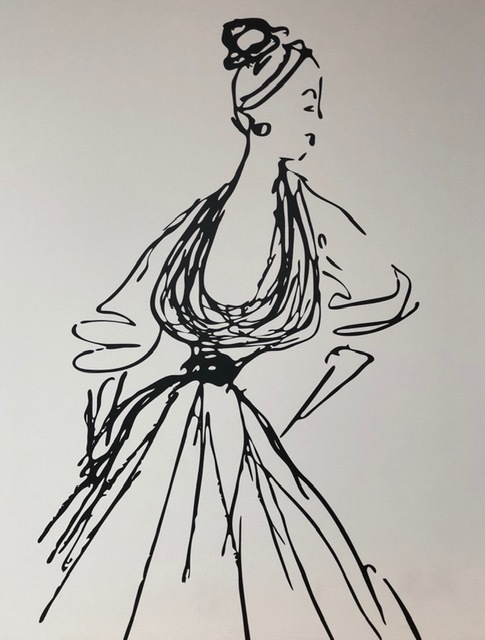 Dior’s sketches were absolutely elegant and he stated “I think of my work as ephemeral architecture, dedicated to the beauty of the female body”. 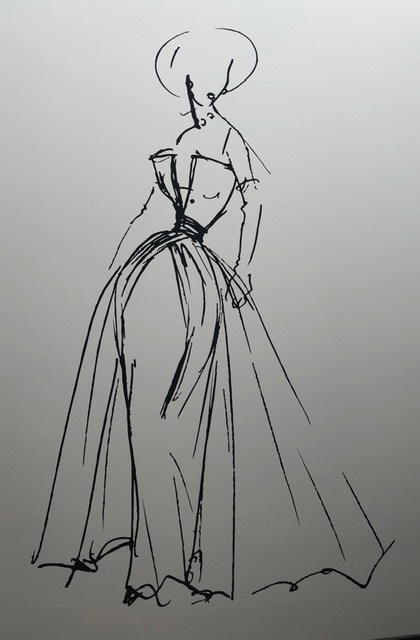 Anchored by the curves of a woman’s figure Dior’s designs played with structure and proportion to create clothes that powerfully expressed attitude!!! Elegant indeed……….. I’ve admired Christian Dior’s work since the 70’s as a teenager. Very nice post. I too have always enjoyed Dior’s work, and as a teenager would collect Vogue and Harpers Bazaar articles of Dior’s work.